Meditation Programs for Psychological Stress and Well-being: A Systematic Review and Meta-analysis. JAMA Intern Med. 2014 Jan 6. By Goyal M, Singh S, Sibinga EM, et al . 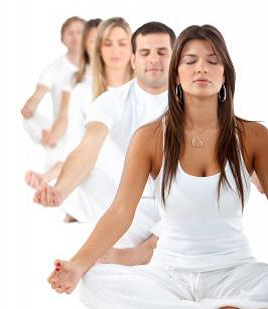 Many people meditate to reduce psychological stress and stress-related health problems. To counsel people appropriately, clinicians need to know what the evidence says about the health benefits of meditation. OBJECTIVE To determine the efficacy of meditation programs in improving stress-related outcomes (anxiety, depression, stress/distress, positive mood, mental health-related quality of life, attention, substance use, eating habits, sleep, pain, and weight) in diverse adult clinical populations. EVIDENCE REVIEW We identified randomized clinical trials with active controls for placebo effects through November 2012 from MEDLINE, PsycINFO, EMBASE, PsycArticles, Scopus, CINAHL, AMED, the Cochrane Library, and hand searches. Two independent reviewers screened citations and extracted data. We graded the strength of evidence using 4 domains (risk of bias, precision, directness, and consistency) and determined the magnitude and direction of effect by calculating the relative difference between groups in change from baseline. When possible, we conducted meta-analyses using standardized mean differences to obtain aggregate estimates of effect size with 95% confidence intervals. FINDINGS After reviewing 18 753 citations, we included 47 trials with 3515 participants. Mindfulness meditation programs had moderate evidence of improved anxiety (effect size, 0.38 [95% CI, 0.12-0.64] at 8 weeks and 0.22 [0.02-0.43] at 3-6 months), depression (0.30 [0.00-0.59] at 8 weeks and 0.23 [0.05-0.42] at 3-6 months), and pain (0.33 [0.03- 0.62]) and low evidence of improved stress/distress and mental health-related quality of life. We found low evidence of no effect or insufficient evidence of any effect of meditation programs on positive mood, attention, substance use, eating habits, sleep, and weight. We found no evidence that meditation programs were better than any active treatment (ie, drugs, exercise, and other behavioral therapies). CONCLUSIONS AND RELEVANCE Clinicians should be aware that meditation programs can result in small to moderate reductions of multiple negative dimensions of psychological stress. Thus, clinicians should be prepared to talk with their patients about the role that a meditation program could have in addressing psychological stress. Stronger study designs are needed to determine the effects of meditation programs in improving the positive dimensions of mental health and stress-related behavior. Sit, breathe, smile: Effects of single and weekly seated Qigong on blood pressure and quality of life in long-term care. Complement Ther Clin Pract. 2014 Feb;20(1):48-53. By Freeman SR, Hanik SA, Littlejohn ML, et al. Long-term care (LTC) facilities house individuals with diverse combinations of cognitive and physical impairments, and the practice of Seated Qigong eliminates common exercise barriers. This study hypothesized: 1) a single session would lower blood pressure (BP) and improve quality of life (QOL) in a generalized LTC population, and 2) these responses would be attenuated with chronic (weekly) Seated Qigong practice. Ten residents (6 female; 86 ± 7 years) participated in 1X/week Seated Qigong sessions for 10-weeks. BP and QOL were assessed pre- and post-session at baseline and following 5- and 10-weeks of Qigong. Systolic BP was significantly reduced immediately post-session after 10-weeks of Qigong (P = 0.03), yet unchanged at baseline and after 5-weeks (all P > 0.05). Diastolic BP and QOL remained unchanged (P > 0.05). A session of Seated Qigong elicits a hypotensive response with exposure, supporting the notion that repeated sessions may provide advantageous health benefits. Managing stress and anxiety through qigong exercise in healthy adults: a systematic review and meta-analysis of randomized controlled trials. BMC Complement Altern Med. 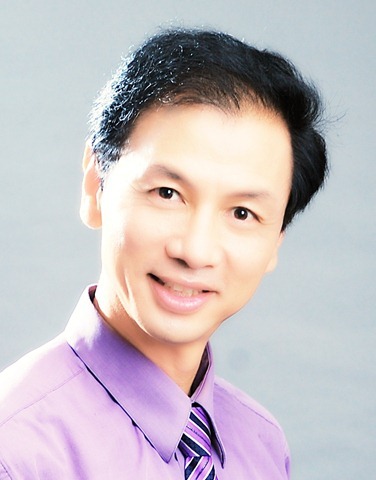 2014 Jan 9;14(1):8. by Wang CW, Chan CH, Ho RT, et al. BACKGROUND: An increasing number of studies have documented the effectiveness of qigong exercise in helping people reduce psychological stress and anxiety, but there is a scarcity of systematic reviews evaluating evidence from randomized controlled trials (RCTs) conducted among healthy subjects. METHODS: Thirteen databases were searched for RCTs from their inception through June 2013. 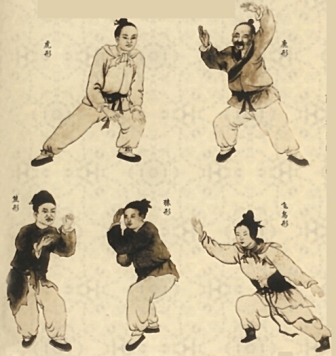 Effects of qigong exercise were pooled across trials. Standardized mean differences (SMDs) were calculated for the pooled effects. Heterogeneity was assessed using the I2 test. The risk of bias was assessed using the Cochrane criteria. RESULTS: Seven RCTs met the inclusion criteria. Two RCTs suggested that qigong exercise immediately relieved anxiety among healthy adults, compared to lecture attendance and structured movements only. Four RCTs suggested qigong exercise relieved anxiety (pooled SMD = -0.75; 95% CI, -1.11 to -0.40), and three RCTs suggested that qigong exercise reduced stress (pooled SMD = -0.88; 95% CI, -1.22 to -0.55) among healthy subjects following one to three months of qigong practice, compared to wait-list controls. CONCLUSIONS: The available evidence suggests that qigong exercise reduces stress and anxiety in healthy adults. However, given the limited number of RCTs and their methodological flaws, further rigorously designed RCTs are needed. Treatment of tactile impairment in young children with autism: results with qigong massage. Int J Ther Massage Bodywork. 2013 Dec 3;6(4):12-20. by Silva L, Schalock M.
BACKGROUND: Following the inclusion of sensory abnormalities in the diagnostic criteria for autism, evidence has emerged showing that tactile abnormalities in young children with autism are severe, universally present, and directly related to delay of early self-regulation milestones required for social development. Parent touch is the most effective means of stimulating early self-regulation, yet parents of children with autism avoid touch because their children respond abnormally to it. This suggests that tactile abnormalities pose a barrier to parent touch in autism, and that treatment of tactile abnormalities may improve developmental outcomes. We have developed a qigong massage treatment for tactile abnormalities in young children with autism. Here we evaluate whether tactile abnormalities decrease following treatment, and whether treatment results in improved self-regulatory outcomes. METHODS: We retrospectively analyzed our qigong massage database for treatment effect on tactile abnormalities, self-regulatory delay, and parenting stress. Five-month interval data were available for 129 children with autism aged 3-6 years. Of these 129, 97 received treatment and 32 were in the wait-list control condition. There were no differences between treatment and control groups by age, gender, or severity of tactile impairment. RESULTS: Treatment resulted in significant decreases of tactile impairment, self-regulatory delay, and parenting stress (p < .001 on all paired t-tests); mean decreases were 25.5%, 24.5%, and 35.8%, respectively. Results were significant compared to controls [F(3,122) = 11.27, p < .001]. In the pretreatment data, tactile impairment was directly related to self-regulatory delay; post-treatment, both variables decreased proportionally. CONCLUSION: Results demonstrate that tactile impairment in young children with autism is treatable with a qigong massage protocol. The direct relationship between tactile impairment and self-regulatory delay pretreatment, and the proportional decrease of both following treatment, suggest that tactile impairment is a cause of self-regulatory delay, and that qigong massage is a promising avenue to improve developmental outcomes in autism. A systematic review and meta-analysis of qigong for the fibromyalgia syndrome. Evid Based Complement Alternat Med. 2013; 635182. by Lauche R, Cramer H, Häuser W, et al. Objectives. The fibromyalgia syndrome (FMS) is a chronic condition with only few evidence-based complementary and alternative therapies available. This paper presents a systematic review and meta-analysis of the effectiveness of Qigong for fibromyalgia syndrome. Methods. The PubMed/MEDLINE, Cochrane Library, Embase, PsycINFO, and Cambase databases were screened in December 2012 to identify randomized controlled trials comparing Qigong to control interventions. Major outcome measures were pain and quality of life; and secondary outcomes included sleep quality, fatigue, depression, and safety. Standardized mean differences (SMD) and 95% confidence intervals were calculated. Results. Seven trials were located with a total of 395 FMS patients. 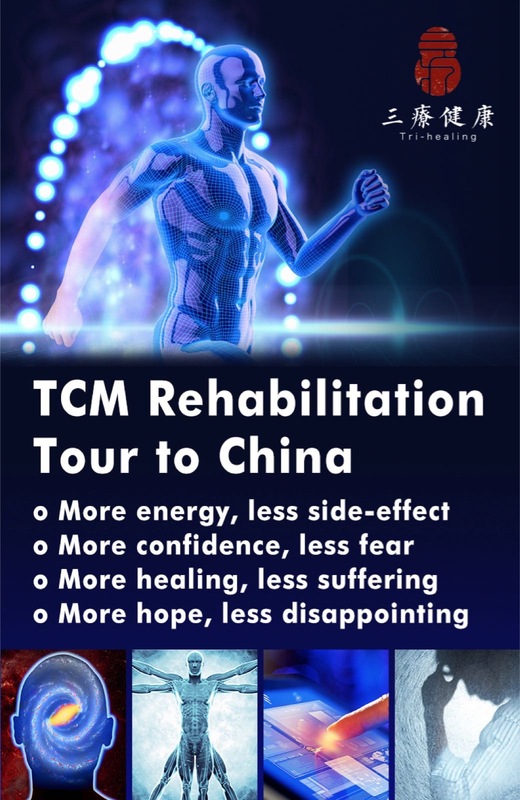 Analyses revealed low quality evidence for short-term improvement of pain, quality of life, and sleep quality and very low quality evidence for improvement of fatigue after Qigong for FMS, when compared to usual care. No evidence was found for superiority of Qigong compared to active treatments. No serious adverse events were reported. Discussion. This systematic review found that Qigongmay be a useful approach for FMS patients. 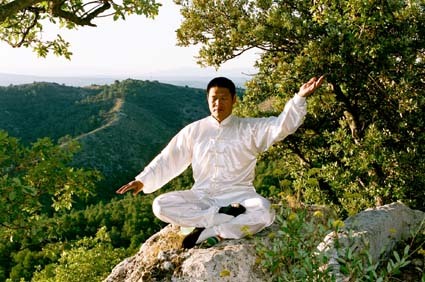 According to the quality of evidence, only a weak recommendation for Qigong can be made at this point. Further high quality RCTs are required for the conclusive judgment of its long-term effects. Yoga’s Impact on Inflammation, Mood, and Fatigue in Breast Cancer Survivors: A Randomized Controlled Trial. J Clin Oncol. 2014 Jan 27. [Epub ahead of print] By Kiecolt-Glaser JK, Bennett JM, Andridge R, et al.,. PURPOSE: To evaluate yoga’s impact on inflammation, mood, and fatigue. PATIENTS AND METHODS: A randomized controlled 3-month trial was conducted with two post-treatment assessments of 200 breast cancer survivors assigned to either 12 weeks of 90-minute twice per week hatha yoga classes or a wait-list control. The main outcome measures were lipopolysaccharide-stimulated production of proinflammatory cytokines interleukin-6 (IL-6), tumor necrosis factor alpha (TNF-α), and interleukin-1β (IL-1β), and scores on the Multidimensional Fatigue Symptom Inventory-Short Form (MFSI-SF), the vitality scale from the Medical Outcomes Study 36-item Short Form (SF-36), and the Center for Epidemiological Studies-Depression (CES-D) scale. RESULTS: Immediately post-treatment, fatigue was not lower (P > .05) but vitality was higher (P = .01) in the yoga group compared with the control group. At 3 months post-treatment, fatigue was lower in the yoga group (P = .002), vitality was higher (P = .01), and IL-6 (P = .027), TNF-α (P = .027), and IL-1β (P = .037) were lower for yoga participants compared with the control group. Groups did not differ on depression at either time (P > .2). Planned secondary analyses showed that the frequency of yoga practice had stronger associations with fatigue at both post-treatment visits (P = .019; P < .001), as well as vitality (P = .016; P = .0045), but not depression (P > .05) than simple group assignment; more frequent practice produced larger changes. At 3 months post-treatment, increasing yoga practice also led to a decrease in IL-6 (P = .01) and IL-1β (P = .03) production but not in TNF-α production (P > .05). CONCLUSION: Chronic inflammation may fuel declines in physical function leading to frailty and disability. If yoga dampens or limits both fatigue and inflammation, then regular practice could have substantial health benefits. Psychological, immunological and physiological effects of a Laughing Qigong Program (LQP) on adolescents. Complement Ther Med. 2013 Dec;21(6):660-8.. by Chang C, Tsai G, Hsieh CJ. et al. OBJECTIVES: One objective of this study was to assess the effects of laughter on the psychological, immunological and physiological systems of the body. Another objective was to introduce the Laughing Qigong Program (LQP), as a method of standardization for simulated laughter interventions. DESIGN: A randomized, prospective, experimental study of the LQP was conducted in a group of adolescents (n=67) in Taiwan. During study-hall sessions, experimental subjects (n=34) attended the LQP for eight-weeks. Simultaneously, control subjects (n=33) read or did their homework. All subjects were tested before and after the intervention on the following: Rosenberg Self-Esteem scale (RSE), Chinese Humor Scale (CHS) and Face Scale (FS) as psychological markers; saliva cortisol (CS) as an immunological marker; blood pressure (BP), heart rate (HR), and heart rate variability (HRV) as physiological markers of the body’s response to stress. Mood states (FS) were measured before/after each LQP session. RESULTS: Mood states (p=.00) and humor (p=.004; p=.003) improved in the experimental group; no significant changes were found in the controls (p=69; p=60). The immunological marker of stress, cortisol levels, decreased significantly for those who participated in the LQP (p=.001), suggesting lower levels of stress after completion of the program. CONCLUSIONS: The LQP is a non-pharmacological and cost-effective means to help adolescents mitigate stresses in their everyday life. The sustaining effects of Tai chi Qigong on physiological health for COPD patients: a randomized controlled trial. Complement Ther Med. 2013 Dec;21(6):585-94. By Chan AW, Lee A, Lee DT, et al.. OBJECTIVES: To evaluate the sustaining effects of Tai chi Qigong in improving the physiological health for COPD patients at sixth month. DESIGN: A randomized controlled trial. Subjects were in three randomly assigned groups: Tai chi Qigong group, exercise group, and control group. SETTING: The 206 subjects were recruited from five general outpatient clinics. 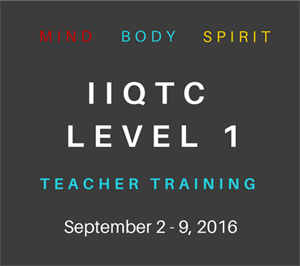 INTERVENTIONS: Tai chi Qigong group completed a 3-month Tai chi Qigong program. Exercise group practiced breathing and walking as an exercise. Control group received usual care. OUTCOME MEASURES: Primary outcomes included six-minute walking distance and lung functions. Secondary outcomes were dyspnea and fatigue levels, number of exacerbations and hospital admissions. RESULTS: Tai chi Qigong group showed a steady improvement in exercise capacity (P<.001) from baseline to the sixth month. The mean walking distance increased from 298 to 349 meters (+17%). No significant changes were noted in the other two groups. Tai chi Qigong group also showed improvement in lung functions (P<.001). Mean forced expiratory volume in 1s increased from .89 to .99l (+11%). No significant change was noted in the exercise group. Deterioration was found in the control group, with mean volume decreased from .89 to .84l (-5.67%). 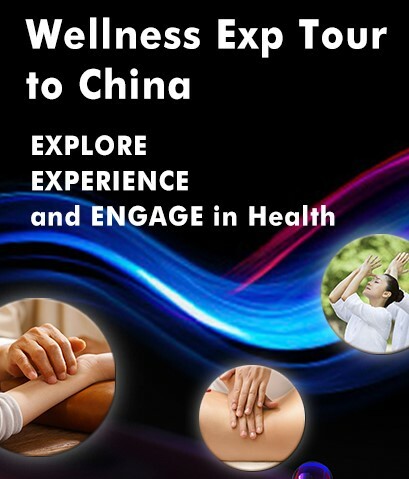 Significant decreased in the number of exacerbations was observed in the Tai chi Qigong group. No changes in dyspnea and fatigue levels were noted among the three groups. CONCLUSIONS: Tai chi Qigong has sustaining effects in improving the physiological health and is a useful and appropriate exercise for COPD patients. 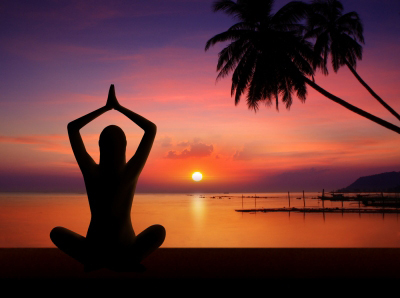 Yoga and meditation in cardiovascular disease. Clin Res Cardiol. 2014 Jan 25. [Epub ahead of print] By Manchanda SC, Madan K.
Yoga is a holistic mind-body intervention aimed at physical, mental, emotional and spiritual well being. Several studies have shown that yoga and/or meditation can control risk factors for cardiovascular disease like hypertension, type II diabetes and insulin resistance, obesity, lipid profile, psychosocial stress and smoking. Some randomized studies suggest that yoga/meditation could retard or even regress early and advanced coronary atherosclerosis. A recent study suggests that transcendental meditation may be extremely useful in secondary prevention of coronary heart disease and may reduce cardiovascular events by 48 % over a 5-year period. Another small study suggests that yoga may be helpful in prevention of atrial fibrillation. However, most studies have several limitations like lack of adequate controls, small sample size, inconsistencies in baseline and different methodologies, etc. and therefore large trials with improved methodologies are required to confirm these findings. However, in view of the existing knowledge and yoga being a cost-effective technique without side effects, it appears appropriate to incorporate yoga/meditation for primary and secondary prevention of cardiovascular disease. Reorganization of the brain and heart rhythm during autogenic meditation. Front Integr Neurosci. 2014 Jan 13;7:109. By Kim DK, Rhee JH, Kang SW. The underlying changes in heart coherence that are associated with reported EEG changes in response to meditation have been explored. We measured EEG and heart rate variability (HRV) before and during autogenic meditation. Fourteen subjects participated in the study. Heart coherence scores were significantly increased during meditation compared to the baseline. We found near significant decrease in high beta absolute power, increase in alpha relative power and significant increases in lower (alpha) and higher (above beta) band coherence during 3~min epochs of heart coherent meditation compared to 3~min epochs of heart non-coherence at baseline. The coherence and relative power increase in alpha band and absolute power decrease in high beta band could reflect relaxation state during the heart coherent meditation. The coherence increase in the higher (above beta) band could reflect cortico-cortical local integration and thereby affect cognitive reorganization, simultaneously with relaxation. 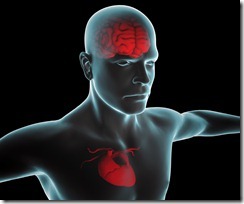 Further research is still needed for a confirmation of heart coherence as a simple window for the meditative state. A phenomenology of meditation-induced light experiences: traditional Buddhist and neurobiological perspectives. Front Psychol. 2014 Jan 3;4:973. By Lindahl JR, Kaplan CT, Winget EM, Britton WB. The scientific study of Buddhist meditation has proceeded without much attention to Buddhist literature that details the range of psychological and physiological changes thought to occur during meditation. This paper presents reports of various meditation-induced light experiences derived from American Buddhist practitioners. The reports of light experiences are classified into two main types: discrete lightforms and patterned or diffuse lights. Similar phenomena are well documented in traditional Buddhist texts but are virtually undocumented in scientific literature on meditation. Within Buddhist traditions, these phenomena are attributed a range of interpretations. However, because it is insufficient and problematic to rely solely upon the textual sources as a means of investigating the cause or significance of these phenomena, these qualitative reports are also considered in relation to scientific research on light-related experiences in the context of sensory deprivation, perceptual isolation, and clinical disorders of the visual system. The typologies derived from these studies also rely upon reports of experiences and closely match typologies derived from the qualitative study of contemporary practitioners and typologies found in Buddhist literary traditions. Taken together, these studies also provide evidence in support of the hypothesis that certain meditative practices – especially those that deliberately decrease social, kinesthetic, and sensory stimulation and emphasize focused attention – have perceptual and cognitive outcomes similar to sensory deprivation. Given that sensory deprivation increases neuroplasticity, meditation may also have an enhanced neuroplastic potential beyond ordinary experience-dependent changes. By providing and contextualizing these reports of meditation-induced light experiences, scientists, clinicians, and meditators gain a more informed view of the range of experiences that can be elicited by contemplative practices. Mind over matter – what do we know about neuroplasticity in adults? Int Psychogeriatr. 2014 Jan 2:1-19. [Epub ahead of print] By Valkanova V, Eguia Rodriguez R, Ebmeier KP. Background: An increasing number of studies have examined the effects of training of cognitive and other tasks on brain structure, using magnetic resonance imaging. Methods: Studies combining cognitive and other tasks training with longitudinal imaging designs were reviewed, with a view to identify paradigms potentially applicable to treatment of cognitive impairment. Results: We identified 36 studies, employing training as variable as juggling, working memory, meditation, learning abstract information, and aerobic exercise. There were training-related structural changes, increases in gray matter volume, decreases, increases and decreases in different regions, or no change at all. There was increased integrity in white matter following training, but other patterns of results were also reported. Conclusions: Questions still to be answered are: Are changes due to use-dependent effects or are they specific to learning? What are the underlying neural correlates of learning, the temporal dynamics of changes, the relations between structure and function, and the upper limits of improvement? How can gains be maintained? The question whether neuroplasticity will contribute to the treatment of dementia will need to be posed again at that stage. Effects of Buddhism Walking Meditation on Depression, Functional Fitness, and Endothelium-Dependent Vasodilation in Depressed Elderly. J Altern Complement Med. 2013 Dec 28. [Epub ahead of print] By Prakhinkit S, Suppapitiporn S, Tanaka H, Suksom D.
Objectives: The objectives of this study were to determine the effects of the novel Buddhism-based walking meditation (BWM) and the traditional walking exercise (TWE) on depression, functional fitness, and vascular reactivity. Design: This was a randomized exercise intervention study. Settings/location: The study was conducted in a university hospital setting. Subjects: Forty-five elderly participants aged 60-90 years with mild-to-moderate depressive symptoms were randomly allocated to the sedentary control, TWE, and BWM groups. Interventions: The BWM program was based on aerobic walking exercise incorporating the Buddhist meditations performed 3 times/week for 12 weeks. Outcome measures: Depression score, functional fitness, and endothelium-dependent vasodilation as measured by the flow-mediated dilation (FMD) were the outcome measures used. Results: Muscle strength, flexibility, agility, dynamic balance, and cardiorespiratory endurance increased in both exercise groups (p<0.05). Depression score decreased (p<0.05) only in the BWM group. FMD improved (p<0.05) in both exercise groups. Significant reduction in plasma cholesterol, triglyceride, high-density lipoprotein cholesterol, and C-reactive protein were found in both exercise groups, whereas low-density lipoprotein cholesterol, cortisol, and interleukin-6 concentrations decreased only in the BWM group. 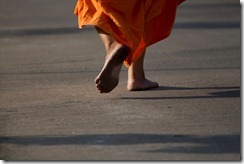 Conclusions: Buddhist walking meditation was effective in reducing depression, improving functional fitness and vascular reactivity, and appears to confer greater overall improvements than the traditional walking program. 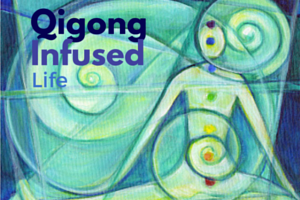 This entry was posted in Mind-Body Research Update, Research Update, Uncategorized and tagged meditation, Qigong, taiji, yoga. Bookmark the permalink. fired up to pursue you. The first thing is to realize that you need intervention. sexes can be due. He gave back to this heartless world a thousandfold.